Virginia prides itself as the birth place of America’s constitution -- where the Founding Fathers enshrined rights like freedom of speech as the basis for a new nation. Now, more than two centuries later, the Commonwealth may be quietly denying some of those rights to people in state prisons – putting at least one man in solitary confinement for speaking out. Dale Pughsley was transferred to a maximum security prison and placed in segregation for months after attempting to organize fellow prisoners in support of better conditions behind bars. Dale Pughsley is serving a 58-year sentence for something he did as a teenager. He was selling crack cocaine, he says, when a guy refused to pay. Pughsley pulled out a gun to intimidate him, but the customer grabbed for the gun, it went off, and killed him. Since then, Pughsley has spent years reading history, political science and philosophy, and recently he started organizing other prisoners. That landed him in long-term segregation at Red Onion -- a correctional center in Wise County. "Long-term segregation, what’s known as level S, is for the most dangerous prisoners in the state of Virginia. Guys are sent back there for stabbings, escapes, rapes, I mean serious charges," he explains. "They had me back there for e-mails!" He also circulated a petition asking for better medical care, an effective grievance procedure, clean water and more nutritious food. Virginia spends less than $2.50 a day to feed each inmate. For his efforts, he was transferred to a maximum security prison far from Lynchburg where his wife and stepson live. "The Department orf Corrections is not tolerant at all of prisoners being political or exercising political speech, and they will go to great lengths to silence us," Pughsley says. 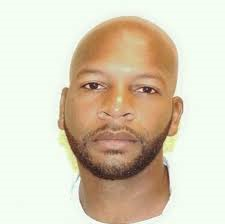 A friend and fellow inmate, Uhuru Rowe, shared Pughsley’s passion for prison reform. He wrote two essays for publication, but the state refused to let him mail his critique. That, says Charlottesville attorney Jeff Fogel, is a violation of Rowe’s First Amendment rights. "There's really nothing in either of these two essays which would suggest any problem for the prisons. More importantly than him sending it out is our ability to hear this information," Fogel says. "You’re not going to hear it from prison authorities. They’re only going to tell you how wonderful their system is." The state will not, for example, talk about the cases of Rowe or Pughsley, nor will officials discuss staffing levels, but Virginia recently offered a $10,000 bonus to officers who would transfer to the Augusta Correctional Center, and it raised pay to an average of just over $37,000 a year. In a presentation to the House Appropriations Committee, department director Harold Clark said Augusta was the prison with the biggest shortage of guards. Thirty-three percent of positions were vacant. Lawyer Jeff Fogel and his client wonder if a similar situation at the Sussex II Correctional Center put inmates’ lives at risk. "As Mr. Rowe points out, people have died at Sussex II state prison. There have been no reports in the media about that, no reports coming from DOC about what happened." The state confirms that in the past year one man died of a drug overdose, while another was murdered in his cell. At Sussex and Buckingham prisons, inmates report days of being locked up for all but one hour of exercise, because, they say, those prisons have too few guards to supervise men who are let out of their cells. Rowe is now suing the Department of Corrections for preventing him from saying such things in public, and the American Civil Liberties Union of Virginia is backing several bills that would require state prisons to keep track of who they’re putting in solitary confinement, for how long and why. Claire Gastenaga is executive director of the ACLU of Virginia. "It’s very difficult to really assess how desperate the circumstances are in our prisons because they don’t keep good data," she says. If one of those measures is approved, it could shed some light on how many inmates are being silenced by keeping them away from other prisoners. Democratic lawmakers and the ACLU of Virginia are pushing for more information on how the state uses solitary confinement.